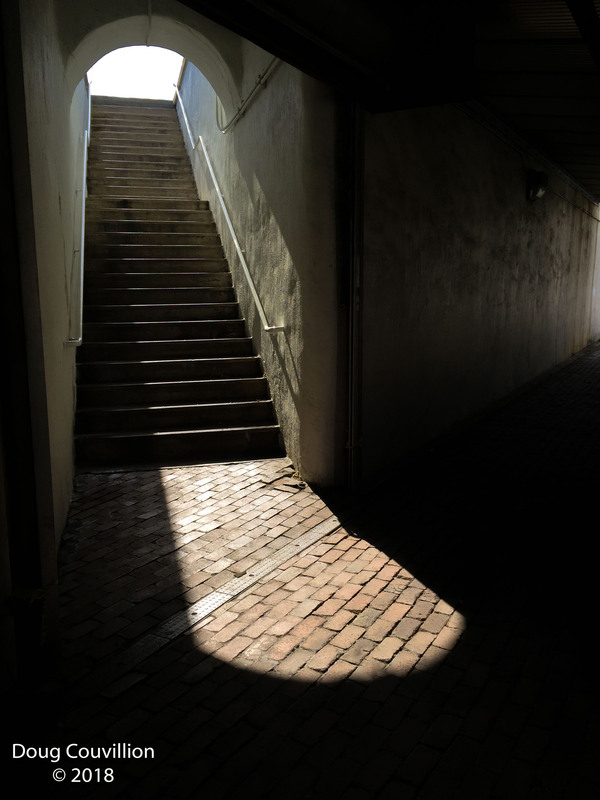 Seeing these stairs on a winter afternoon I was drawn to the way they led up from the darkness to the light. Days later, as I processed the photo I began to think about one of my favorite places to turn for inspiration, the Tao Te Ching, which has some interesting takes on the duality of human perception. The following is from Stephen Mitchell’s translation.